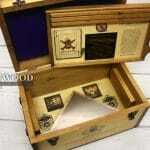 This box comes standard with our Oath of Office design on the lid top and a plain removable tray. Additional options are listed below. Photos are examples only of custom commissioned projects we have completed. 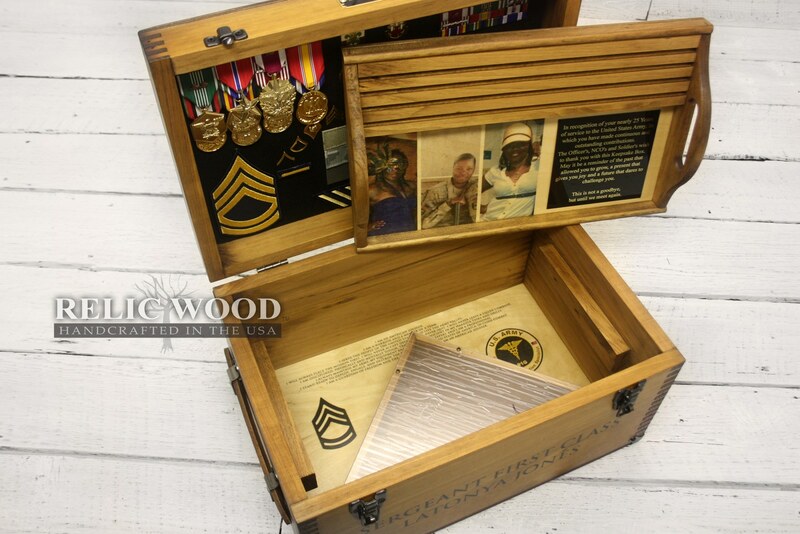 Upload your own military photos or custom artwork, and create a one of a kind, handcrafted in America Military Keepsake Box! 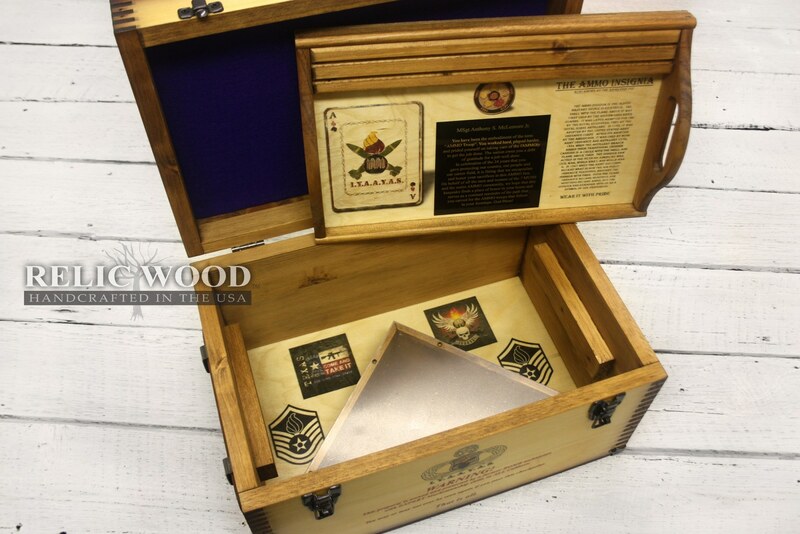 This box comes standard with an inside plain tray and our Oath of Office design on the lid top. Additional options are listed below. One of a kind and Handcrafted just for you in America. 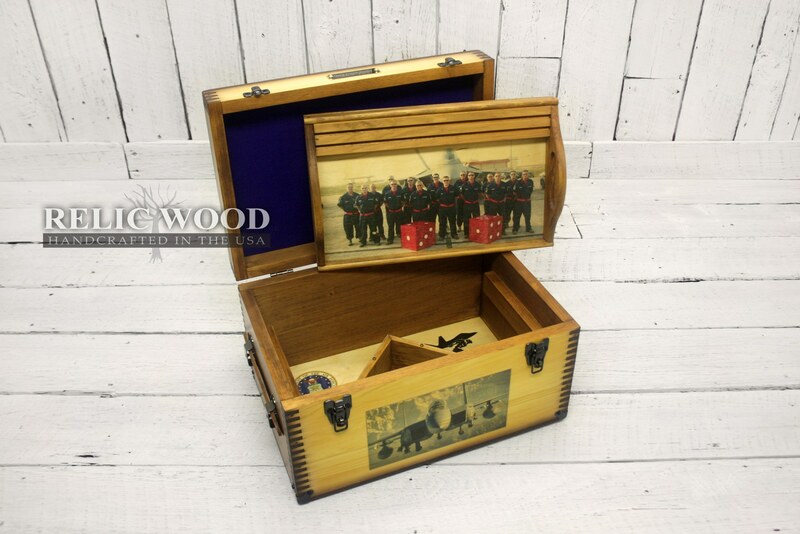 Our Custom Military Keepsake Box is the perfect personalized gift for Army, Navy, Air Force, Marines, Air National Guard, National Guard, Navy SeaBees Veterans. 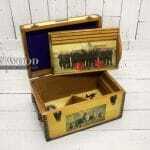 If you want a hand made just for you gift, that will have sentimental value to it’s recipient, this is it. Customize artwork on the front, inside lid, inside tray, and inside bottom À la carte. Please be aware that the artwork proofs are only an approximation of what the final product will be and should be used for reference only. Our custom sublimation process means that your artwork is embedded in the wood and full color artwork will differ somewhat from the renderings. 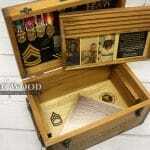 We look forward to making your custom Army Keepsake Box soon!